Despite seeing top prospect Carter Hart have a successful NHL debut on Tuesday night, the Philadelphia Flyers appear to still be searching for an answer in net. Sam Carchidi of the Philadelphia Inquirer tweets that new GM Chuck Fletcher “sounds like he’s shopping for a goalie.” That shopping of course will have to officially wait until after the trade freeze is lifted later this month, but Fletcher is still able to have discussions with teams. It’s not hard to understand why trading for a goaltender would be Fletcher’s first big move as GM. The Flyers have seen goalie after goalie fail miserably in their net over the last few years (or perhaps decades) and are dealing with several injuries to their group right now. Brian Elliott is still awaiting the results of some recent medical testing, while Anthony Stolarz is on the shelf again for a few weeks. Hart was impressive in his first start, but it’s hard to imagine that throwing him to the wolves as the Flyers’ full-time starter this early in his career is good for his development. More likely the team would rather keep Hart at the AHL level for this season and hand the reins to him somewhere down the road. 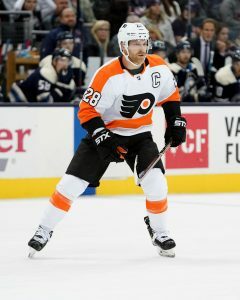 The Flyers are just one point ahead of the last place New Jersey Devils in the Eastern Conference standings, and are looking at a very interesting goaltending situation at the end of the year. 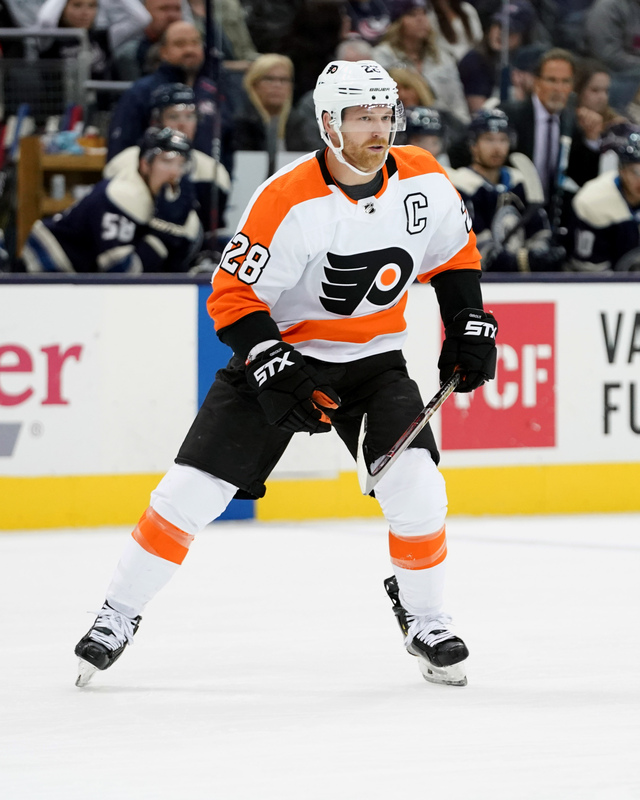 Elliott and Michal Neuvirth are both pending unrestricted free agents, while Stolarz is scheduled to become a restricted free agent once again. Acquiring a netminder with a little term could help ease Hart into the role and provide some experienced help for him without having to re-sign any of their injury-prone options. Still, who they would be targeting is unclear. It’s been reported several times already that Fletcher was looking to get a trade done of some sort before the freeze took effect, but nothing was submitted before it began this week. There’s bound to be goaltenders available, though the most notable ones—Jake Allen and Jonathan Quick come to mind—are inconsistent or expensive in both cap hit and pieces needed to acquire them. The Detroit Red Wings for instance are allegedly looking for a first-round pick for Jimmy Howard, something that doesn’t make much sense for a struggling Philadelphia team. We won’t know where the Flyers are leaning in net until after the freeze lifts on December 28th, but for now Hart is scheduled to start another game tonight. If he can put up another impressive performance against Detroit, perhaps the team will reconsider their shopping efforts altogether. The Philadelphia Flyers have released updates on three different goaltenders in the organization. Michal Neuvirth has left the team to join his wife who is expecting, Brian Elliott has returned to Philadelphia for a medical appointment, and Alex Lyon has joined the team for the interim. Lyon will pair with Anthony Stolarz at the NHL level for the time being, something the two have done in the minor leagues at times this season. Seeing Neuvirth and Elliott leave the team at one point might have been tough to swallow, but at this point it might not make much of a difference. Stolarz was the starter last night but allowed the Calgary Flames to make a dramatic comeback that included two goals with their net empty, and has posted just an .889 save percentage on the season. Amazingly, that puts Stolarz ahead of three of the other goaltenders that have suited up for Philadelphia this year, including Neuvirth and Lyon. As the team waits on Elliott—the only one with even respectable numbers—to return from injury they have to hope that someone can step up and carry the load. That appeared to be Stolarz, who despite the breakdown last night has actually played well in his short stint, but perhaps it could be Lyon instead. The 26-year old has stabilized his season at the minor league level and seems just as likely as any to give the team average goaltending. That’s all anyone in Philadelphia can hope for right now as they try to climb out of a dreadful start to the season.